It is downright hot in San Francisco right now. I think today is the hottest day of the year. Or maybe it was yesterday? It’s so warm, some people are complaining about it. I am not nor do I ever intend to be one of those people, thank you very much. This weather brings me joy. I’m madly in love with San Francisco on a day like today. If only I didn’t have to spend 8 hours of it sitting at my desk. Fortunately, this weekend Gigi and I took advantage of the late summer sunshine and went for a hike in Muir Woods. 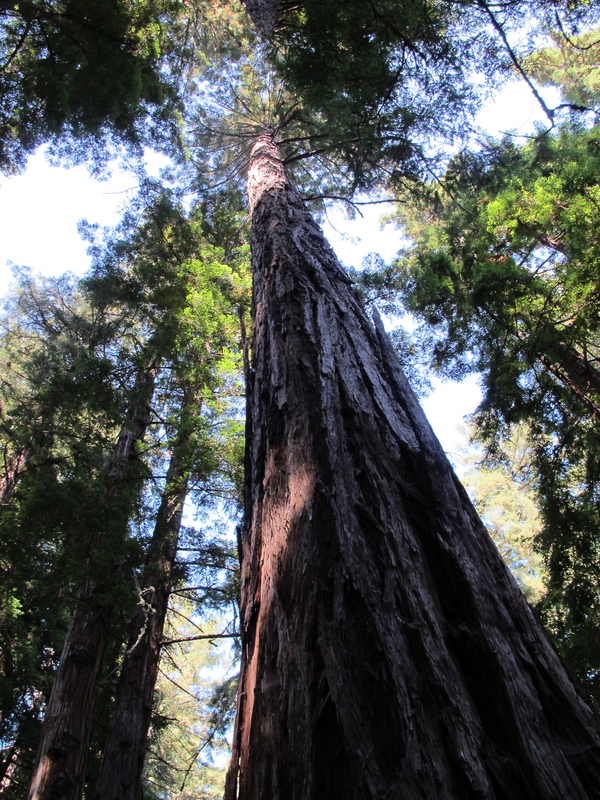 I found it humbling to walk among the ancient, towering redwoods. Gentle giants of burgundy bark and scented pine. It was one of those days when everything seemed to be exactly as it should be. 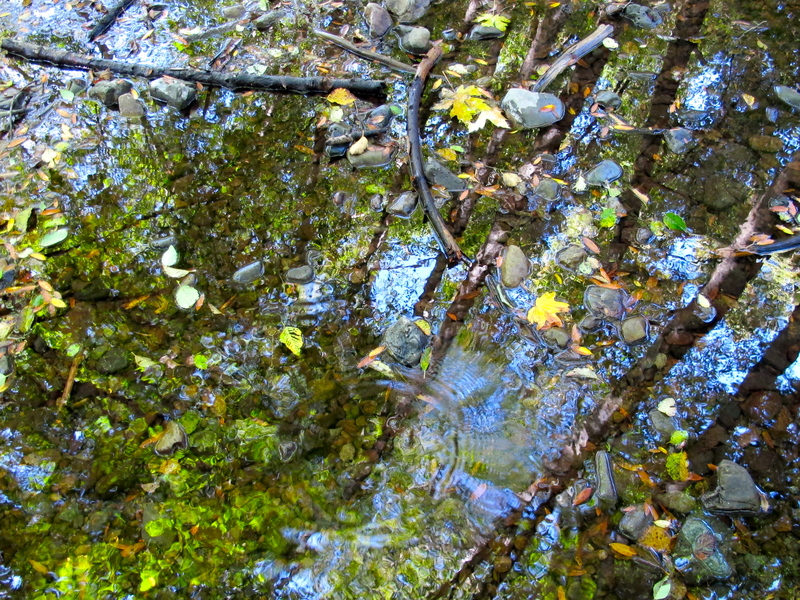 Golden leaves floating on a clear stream. One tiny insect brushed the surface. A landing pad of concentric circles. 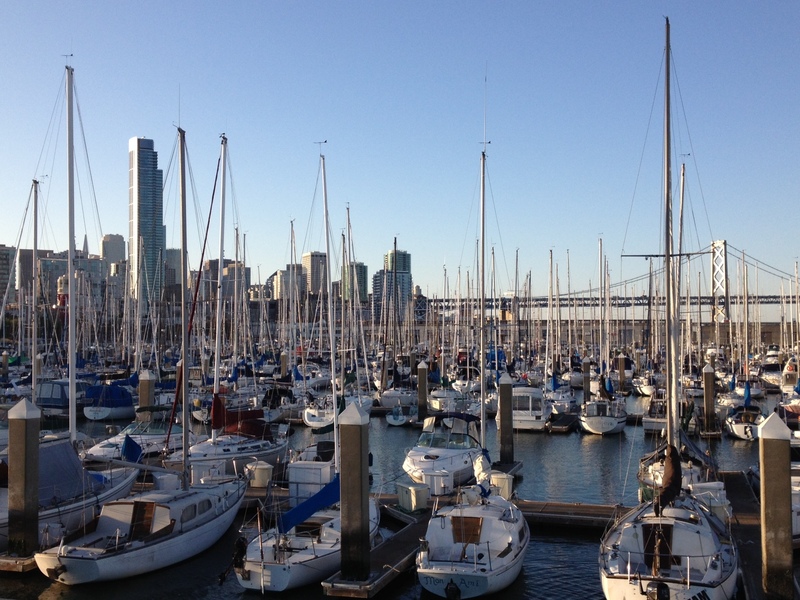 I bolted from the office yesterday evening before the sun went down and ran along the Embarcadero to AT&T Park. The sailboats waited, sleek and patient, for the Giants return. There is perhaps only one thing this weather does not make me want to do and that is cook. Let alone bake. Fortunately, I baked last weekend when it was typically fickle and foggy. I’ve been meaning to write about the cookies since then. They were dang good. Chewy, soft and made with almond meal instead of all-purpose flour – gluten-free goodness mixed with a spray of cacao nibs and coconut. The recipe is from The Sprouted Kitchen cookbook, born from a food blog of the same name. Ellie generously gave it to me last week as a thank you for lending her my car. I was on the winning end of our exchange – the cookbook has exactly the kinds of recipes I love, complete with beautiful photos. Simple. Fresh. Wholesome. There are a couple ingredients that stand out in this recipe as a bit unusual: muscovado sugar and cacao nibs. The muscovado sugar lends a unique chewiness and depth, but you can probably use any natural, dark sugar here. 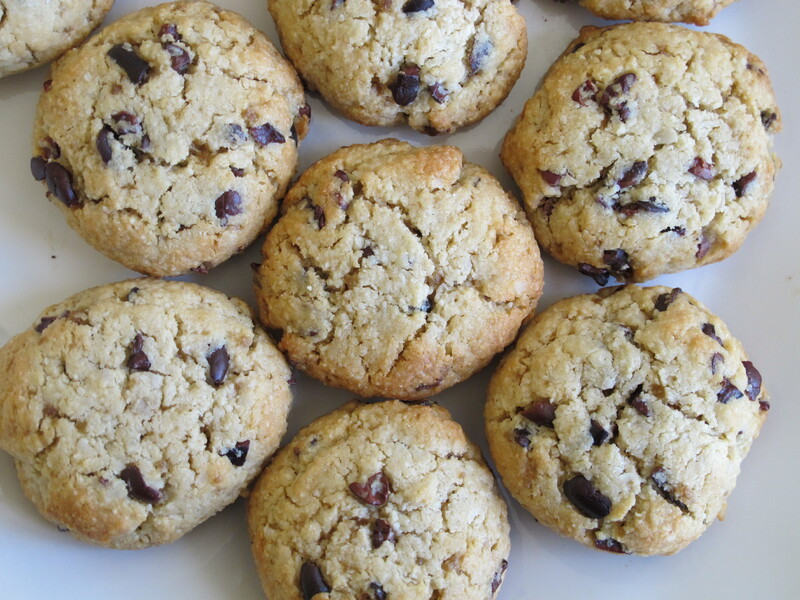 The cacao nibs are the grown-up answer to the chocolate chip and they make this cookie great. They are nutty espresso to chocolate chips creamy vanilla latte. In a large mixing bowl, stir together the almond meal, cacao nibs, coconut, baking powder, salt and sugar. In another bowl, beat the egg very well until it’s a uniform color and doubles in volume. Whisk in the coconut oil and vanilla extract. Add the wet ingredients to the dry ingredients and mix until just combined. Refrigerate for at least 30 minutes and up to overnight. Roll the chilled dough into 1″ balls using your hands (don’t make them too big or you’ll sacrifice chewiness). 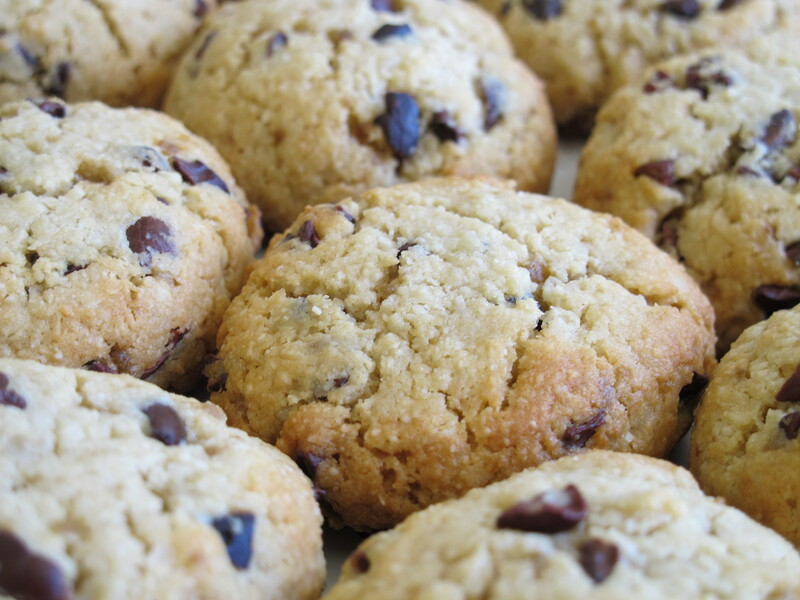 Place on an ungreased baking sheet with 1 1/2-inches space between them, and give them a gentle press with the palm of your hand to flatten them slightly. Bake until edges just begin to brown, about 7-10 minutes. Remove from the oven and allow to cool before serving. I thought it was just the English who complain when it is cold, complain when it is hot… Beautifully autumnal in London today – perfect day for biscuit baking and these look just the thing!